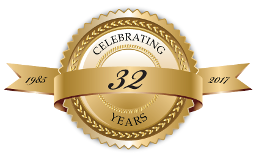 Long Law Offices — practicing law in the San Francisco Bay Area for over 35 years, helping businesses and individuals solve their legal problems. We believe that every client is unique and every client problem is unique. That means that we listen—really listen—to our clients’ concerns. It means that we ask questions, verify information, and define goals. Ultimately, it means that we put together a legal strategy that is practical, effective, and keyed to our clients’ needs. We use our experience to achieve an outcome that serves our clients’ needs, whether that means aggressively pursuing a lawsuit against culpable parties, fighting a lawsuit that lacks merit, finding a win-win solution to a problem, or advising clients how to avoid legal problems in the first place. LONG LAW OFFICES. We are located in Walnut Creek, CA in the East Bay, serving Alameda County, Contra Costa County, and the San Francisco Bay area, including Lafayette, Walnut Creek, Moraga, Orinda, Pleasant Hill, Alamo, Concord, Martinez, Oakland, Berkeley, Piedmont, Danville, Alameda, San Leandro, San Ramon, Castro Valley, San Francisco, Dublin, Pleasanton, Livermore. Please explore our website for more information about who we are and what we can do for you. Contact us to discuss the specifics of your situation and set up an appointment for a detailed consultation. We look forward to hearing from you! Our Litigation practice handles disputes in the areas of real estate, construction, business, and trusts and estates. Whether the problem requires a hard line or delicate negotiation, we work to get the best results possible for our clients. Claudia Hagadus Long, of counsel, is a mediator with ADR Services, Inc. She has vast experience as a Mediator helping attorneys and their clients resolve cases involving construction problems, commercial disputes, business dissolutions, real property purchase and sale matters, banking matters, employment cases, and conflicts between heirs of decedents' estates. Our Legal Counsel practice helps clients identify, manage and avoid business risks. We help clients negotiate transactions, draft contracts, and deal with everyday problems before they become large distractions. With Long Law Offices as your legal counsel, help is just a phone call or email away.